Critics of evolution often argue (falsely) that there is no evidence of marco-evolution (i.e., evolution of one species into another). They also like to point to flatfish (like sole, plaice, turbot, flounder and halibut) and argue that there is no fossil evidence that explains how flatfish ended up with both eyes on one side of their face. Fossils of two long-extinct flatfish species found in European museum collections by Matt Friedman, a 28-year-old U. of C. doctoral candidate, should change some minds. 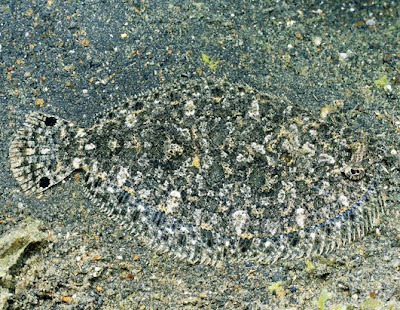 Friedman spotlights the two species in his article, "The Evolutionary Origin of Flatfish Asymmetry," appearing in Thursday's edition of the science journal Nature. The evidence Friedman marshals proves, he said, that it indeed took millions of years for the flatfish to evolve their look. His findings may not be earth-shattering, but they seem to put to rest one of the oldest puzzles of evolutionary biology. "Matt's [Nature] article is extremely significant," said Thomas J. Near, a Yale University evolutionary biologist who also studies fish. "The obvious is that Matt's work shows how the flatfish eye got to the other side of the head," Near said, "and that it was a gradual change rather than a single, mutational big jump. "It's also another piece of knowledge and evidence that we didn't have before. The creationism/intelligent design movement has always pointed out that there was nothing in the fossil record that showed the [movement of the flatfish eye] in transition. The real scientific impact from Matt's work is that there is now an intermediate form." His first "transitional" fossil was an adult specimen he stumbled on in the Paris museum, part of a collection that had been given as a tribute 200 years ago to Napoleon as he fought in Italy. It clearly had an eye socket near the top of the skull, Friedman said, in transit to the other side of the face. In London, he found a second fossil species of Amphistium, slightly younger than the one recovered in Italy. In London he also borrowed two Amphistium specimens still deeply embedded in Italian sandstone, which he analyzed with CT scans that also revealed eye sockets in transition. In Vienna, he found misclassified fossils that turned out to be an entirely new flatfish genus he named Heteronectes, or "different swimmer," which he said clearly is in the transitional stage. After publishing his evolutionary theory, "The Origin of Species," Charles Darwin and the theory came under furious attack by religious leaders. In 1871, St. George Jackson Mivart, a Catholic lawyer and zoologist, published "On Genesis of the Species" as a challenge to Darwin, and prominently used the example of flatfish and their eyes in his argument. 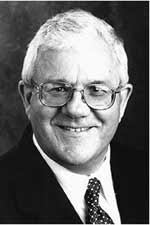 "Darwin feebly responded with a scenario that relied on evolution of inherited traits," said Friedman, and the flatfish argument has been an arrow in the quiver of anti-evolutionists ever since, cited as recently as 2003 in pro-creationist Lee James Best Jr.'s online book "God and Fallacy in the Theory of Evolution." Read it all here. Read the Science Daily story here.